Automate your entire recruitment cycle using Zoho Recruit. 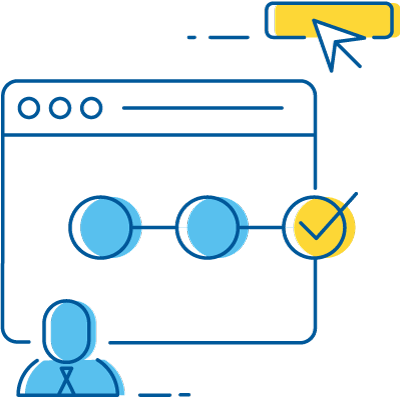 Right from sourcing of candidates to managing their resumes and finally hiring them -- save time on manual tasks by automating your workflows. And focus, on what needs your attention the most. 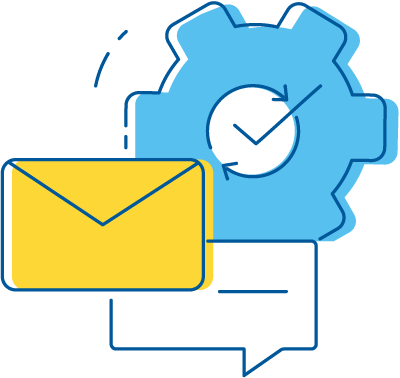 Use the already created email templates or customize new templates and create workflow alerts, that will automatically send email notifications when the workflow rule is triggered. 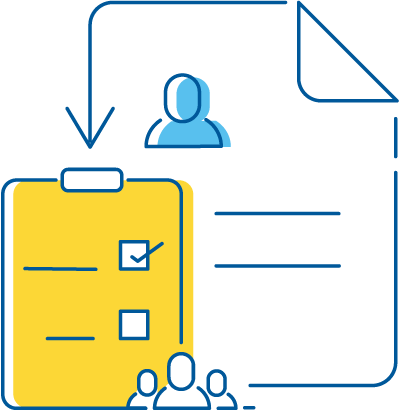 Workflow tasks are assigned to recruiters when a specific workflow rule is triggered. Compress a set of tasks into a simple click of a button. You can automatically update field values inside Zoho Recruit account when the associated workflow rule is set in motion. Staffing agencies with multiple recruiters can now utilize the assignment rules function to assign imported records to different recruiters. Also called as webhooks, this feature lets recruiters use third-party applications inside Zoho Recruit to complete tasks. Like sending invoices to a client, or more. Macros is a simple way to compress multiple functions. 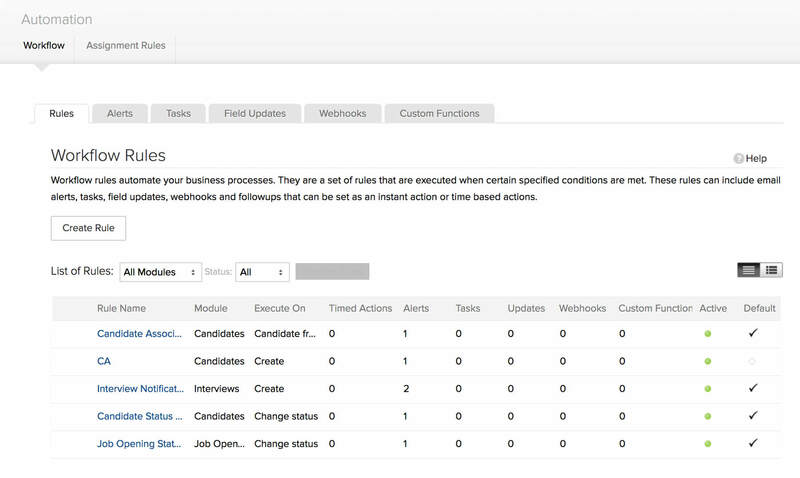 Set a macro function that sends an email, sends a text message, updates candidate status, updates field and also tasks.